“Like A Virgin,” the song that established Madonna as one to watch, sent ripples through the music industry with its edgy title and infectious melody. Matching her controversial demeanor, “Like A Virgin” was the title track to Madonna’s 1984 Like A Virgin album, which quickly became one of the best selling albums of all time. Over 21 million copies sold, and a music video with 7 MTV Nominations later, “Like A Virgin” is still revered as a brilliant moment in pop music. Written by Billy Steinberg and Tom Kelly, “Like A Virgin” is a reminder that a great song doesn’t necessarily need upwards of a dozen writers. Two people with honest lyrics and a synthesizer can pen a song beloved by generations. 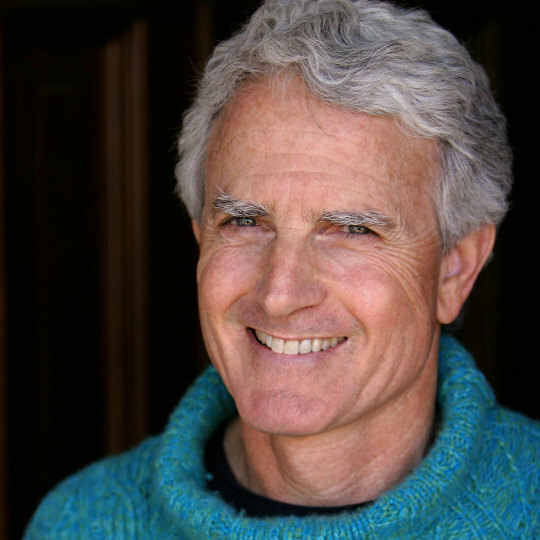 Behind the daring and attention-grabbing persona of the singer who popularized the song, we find the gentle and deeply introspective demeanor of Billy Steinberg, who wrote the lyrics of the song after finding a love that made him feel “shiny and new.” With songwriting credits including “Too Little Too Late” by JoJo, “Alone” by Heart, “True Colors” by Cyndi Lauper, and “So Emotional” by Whitney Houston, the challenge with Steinberg wasn’t finding a smash hit to discuss, but rather choosing one. We sat down with the songwriter to talk aerobics class, keeping demos simple and being brave. OTW: Let’s start by setting the scene. What was your headspace like when you wrote the song? Billy Steinberg: When Tom Kelly and I wrote songs, we had a process that consisted of me coming in with a fairly complete song lyric. So at the time, I lived down in the Coachella Valley and Tom lived in Los Angeles. 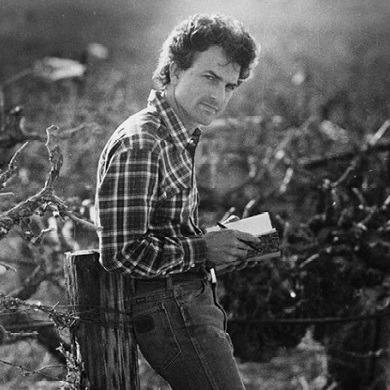 I used to work at my father’s farming operation growing grapes, and I had been in this really difficult relationship. I finally emerged from that relationship, and I met somebody new, and fell in love. 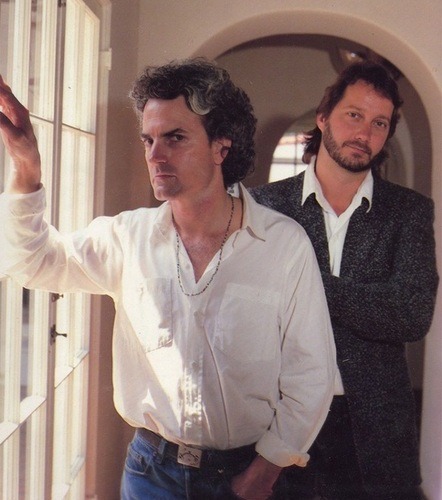 So without really thinking about it, I wrote the lyrics “I made it through the wilderness, somehow I made it through.” The line “Like A Virgin” came out of the concept of “shiny and new.” So I had that lyric, and then I got together with Tom Kelly, my songwriting partner. Tom was well aware of the details of my personal saga, and when he saw the words, they were poignant to him–so he started singing it like a ballad. But when it got to the chorus, and the line, “Like A Virgin,” came up, it always sounded ridiculous. I knew instinctively that it was a special lyric and could be something if we really got it right. He started playing the piano and trying to write a topline melody for it, and out of sheer frustration, he started playing the bassline and singing falsetto. And I was like “that’s it!” I would say the song was influenced to a certain degree by “I Can’t Help Myself” by The Four Tops or “Billie Jean” by Michael Jackson. They have similar basslines to “Like A Virgin.” I don’t think the songs are similar in any other way, but I think the concept of the bassline would have been an emulation of those two songs. OTW: At this point did you exclusively write with Tom Kelly? Billy Steinberg: Yes at this point we were exclusive writing partners. OTW: Would you say out of the songs you’ve written, that “Like A Virgin” was one of the most personal? Billy Steinberg: I think all of the songs that I’ve written have been pretty personal, really. I don’t stand back and pick a topic and say “I want to write about that.” I write in a stream of consciousness-manner, so the material that comes out is usually from my unconscious. OTW: What made the song take off in your opinion? 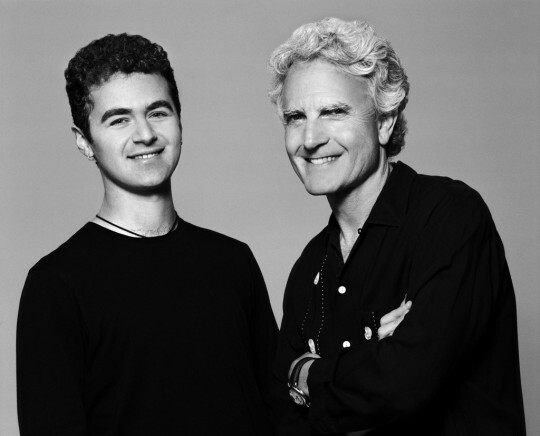 Billy Steinberg: Our attitude was, if you have a great song you don’t need an elaborate demo. We had a great song structure, and the song had great melodies and lyrics, so it was strong. Tom programmed a drum beat on the LinnDrum Machine and played a very simple pattern on the Jupiter 8 Synthesizer and sang it falsetto, and I did a few background vocals. At this point, Tom Kelly and I were just trying to write a great song, we didn’t have any artist in mind. Our goal was to get it out into the world, and at first we hit some road blocks because it was a rather controversial title and a few Record Company people who heard it said, “That’s a catchy song but no one is ever going to sing a song with that title.” They suggested that I change it, but I felt instinctively that it was a strong, ambitious title and wanted to keep it. Tom and I had a meeting with a guy called Michael Ostin, a prominent A&R guy at Warner Brothers, and he mentioned that he needed songs for Madonna. I don’t think Tom knew who Madonna was at that time, but I did because my girlfriend taught aerobics classes and used a Madonna song called “Burning Up” in her class. This was before “Holiday” or “Borderline” had been hits. She was just starting to bubble into industry awareness. We played “Like A Virgin,” and he just flipped for it. We heard back from him fairly soon, and he said that Madonna loved it, and that she was going to cut it in New York with Nile Rodgers. OTW: We heard that Madonna kept the same adlibs that appeared in the original demo. Were those adlibs your doing? Billy Steinberg: Well, the majority of the vocals are Tom Kelly, but do you know the song pretty well? Billy Steinberg: At the end of the song when the melody changes, all of that is Tom, and she copied every single note. But also, one of the things I did was add “hey!” and she even incorporated that little punctuation, so she clearly studied our demo carefully. OTW: The song has stood the test of time. What do you think makes it timeless? Billy Steinberg: Well, I don’t know about timeless. I wrote “True Colors,” and that song definitely has a timelessness to it. With “Like A Virgin” I just don’t know, it’s in a completely different category than “True Colors.” I guess some of the great Motown songs have that timelessness, but I think “Like A Virgin” has stood the test of time as an iconic song rather than timeless. OTW: You’ve had an incredibly fruitful songwriting career. What would you say to up and coming songwriters who need some guidance? Billy Steinberg: I think it’s important to be courageous and listen to your heart. Listen to the content that makes up who you are as an individual. Not who anyone else is, but who you are. If you can write something truly personal, it sometimes becomes universal simultaneously if it’s honest. So I would say don’t try to copy what you’re hearing on the radio but be brave and try to write something different–something that is truly you. OTW: Are you still songwriting pretty regularly? Billy Steinberg: Yeah, I would say I’m not as prolific as I have been in the past but I’m still writing songs. In fact I just wrote a song last week with my current songwriting partner Josh Alexander that I’m extremely happy with. He and I wrote “Too Little Too Late” for JoJo, and we’re still writing together. OTW: Do you two have a title yet? OTW: We’ll be looking for it. Finally, who are your Ones To Watch? Billy Steinberg: I have written songs with a guy called Alec Benjamin and I think he’s very good. I’ve also worked with Madison McWilliams, and she’s only 17 years old but I think she’s got a wonderful pop voice. March 5, 2019 Hear from the man who's worked with JLo, Becky G, Diplo and Skrillex. February 12, 2019 "To get to experience bucket list moments with one of your best friends who stands for something so powerful...it’s so incredible. " January 29, 2019 "After the initial vibe got going, I just went forward with it. I felt good that day, and everybody in the room felt good. Positivity."